The University of California at Davis Facilities Group is dedicated to maintaining a healthy environment for students, faculty and staff. 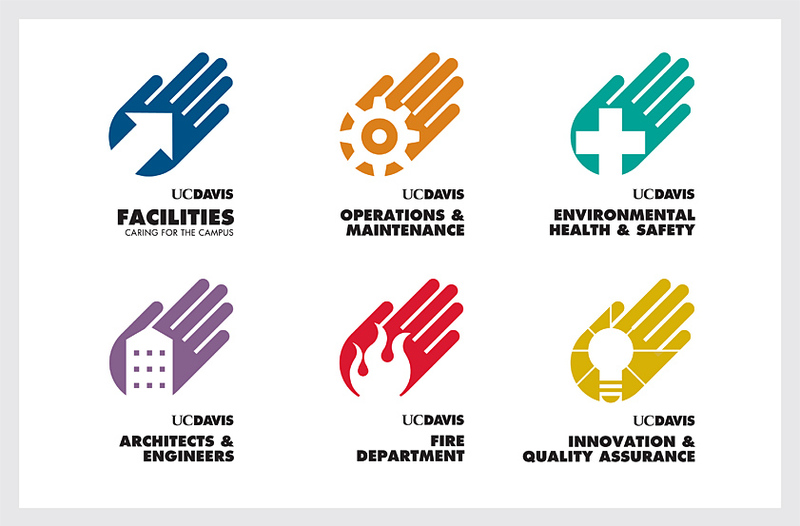 To create a unified branding system with a common conceptual theme, each logo uses an upward hand to convey the group’s commitment to “Caring for the Campus” and the values of responsiveness, service, and responsible guardianship. Each department is distinguished by a meaningful symbol within the hand and appropriate color, creating individual symbols which are unique yet retain a strong family look.